Mexico has been long known for its cannabis drug trade. In recent years there has been much change in the penalties as well as laws surrounding cannabis possession. Several court hearings in the country have concluded that an outright prohibition against cannabis is unconstitutional. 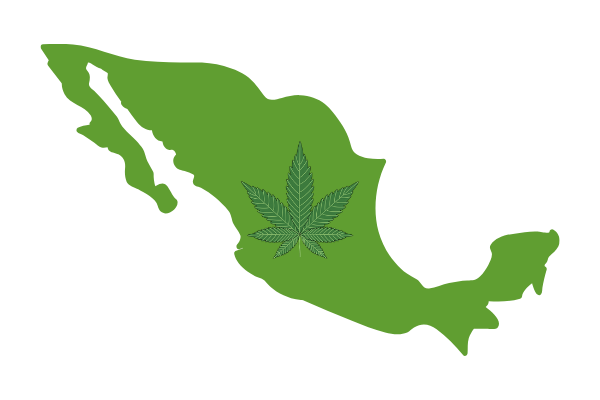 The new leadership in Mexico embraces cannabis decriminalization as well as shows support for medical legalization. The most recent news coming out of Mexico regarding cannabis is a Twitter poll. The nation’s Secretary of Security and Citizen Protection posted a poll on their official Twitter account on Monday, March 25th. The survey asked simply “should the use of marijuana for recreational purposes be…” legal or illegal? As of the evening of March 26th, 81% of responders have voted that it should be legal while only 19% feel that it should remain illegal. Could this poll potentially be a way for officials in the country to gather intelligence regarding how residents of Mexico feel about legalization? If so, one thing is for sure, the people are in favor. According to Marijuana Moment, there’s been much movement regarding cannabis legalization in the country as of late. Last year they reported that a senator who is now part of the nation’s Interior Secretary filed a bill that would legalize cannabis in the country. The Mexican Senate has also released reports outlining various aspects of cannabis legalization that lawmakers should take into consideration when crafting legislation. In 2018 several cabinet members throughout the Mexican Government met with officials from Canada to discuss the legal cannabis program being launched there. The poll which has officially ended received 86,996 votes with 81% in favor of legalization. The fact that the department that is responsible for overseeing intelligence agencies, prisons, the federal police and other entities in Mexico is reaching out for thoughts on this subject is definitely a plus in many people’s eyes. Stay tuned here at Excessively as we will be sure to provide you with updates as the process to legalize cannabis in Mexico progresses. With Americans showing support for legalization at an all-time high and Canada already having a fully legal market, it should only be a matter of time before North America has officially freed the leaf. Ashley Priest is a mother, a wife, a writer and a medical cannabis patient. She has a passion for sharing education surrounding cannabis with the world to help remove the negative stigmas that still surround cannabis in many places today. Weed vs Alcohol: Who Brings in the Bacon on Holidays?